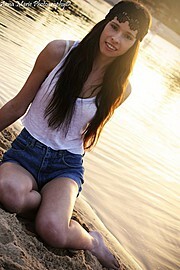 Becky Williams is model based in sunshine coast. She currently studies business. Having her own unique style she has up to now helped out friends with portfolios. She enjoys modelling as she feels it’s a way to express yourself, She loves doing shoots and having fun with different people and different sceneries. She is interested in doing photoshoots and expanding on her skills in modelling. Available for fashion and print projects.